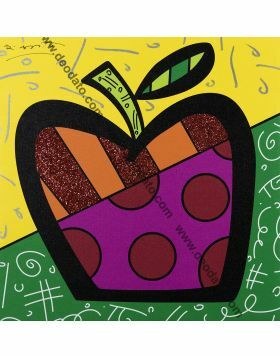 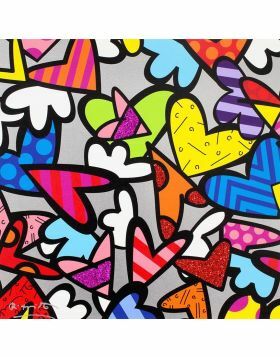 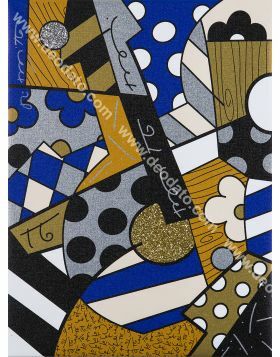 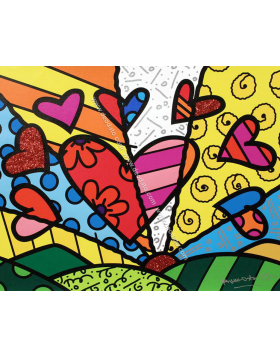 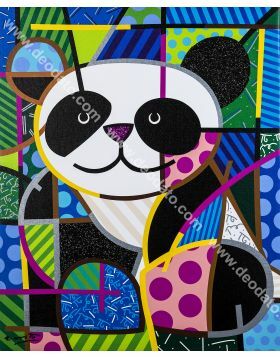 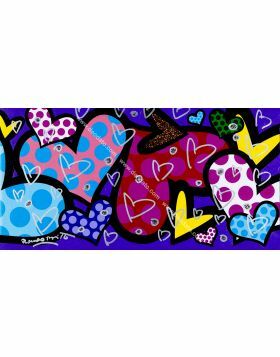 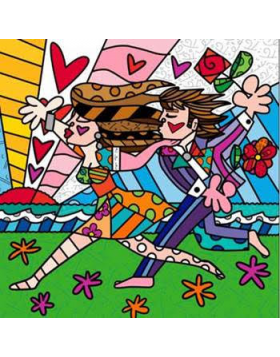 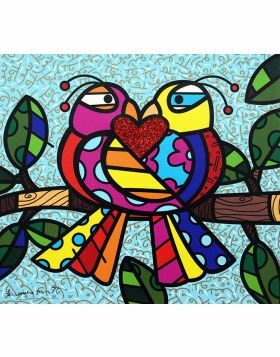 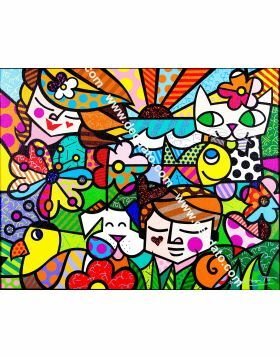 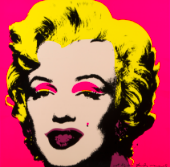 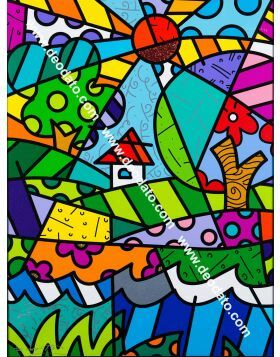 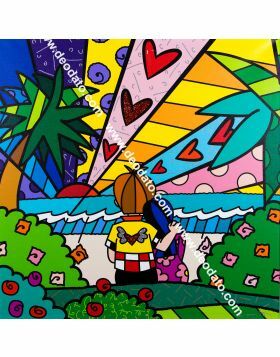 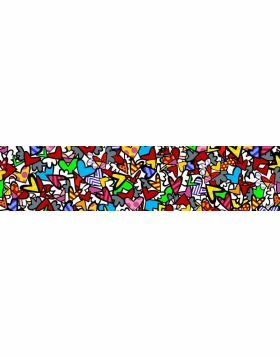 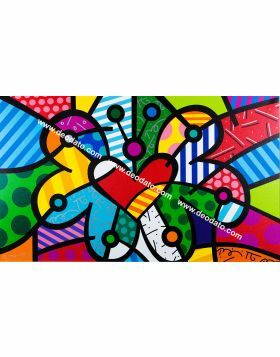 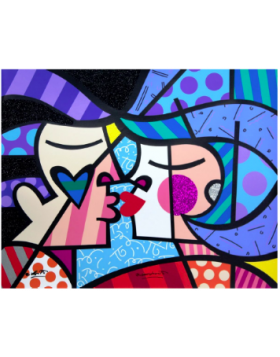 Romero Britto was born in 1963 in Recife, Brasil. 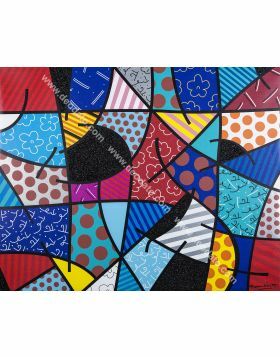 He then moved to Milan where he began his artistic career making some artworks with cuttings of papers and cardboards and taking inspiration from the technique of some street artist. 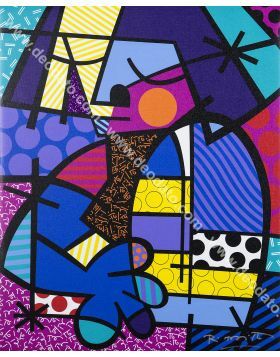 He travelled to Paris and there he began to create his own style that nowadays is know internationally. 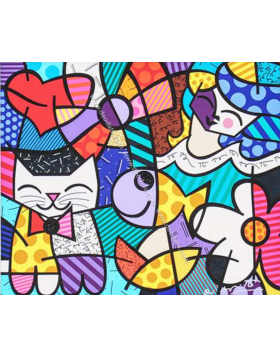 Thanks to the research on the masterpieces of Henri Matisse and Pablo Picasso, he consolidated his artistic style that was defined by New York Times as a source of heat, optimism and love. 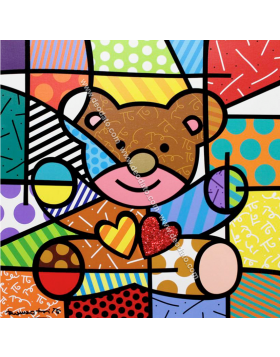 In fact his works are characterised by a deep research of colors and positive vibes that create bold and a bit fantastic subjects. 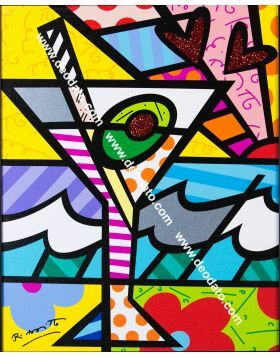 Baby animals, couples of lovers, colored hearts, flowered landscapes, but also everyday objects such as fruits and Martini glasses, are united with abstract objects realising colorful and positive artworks. 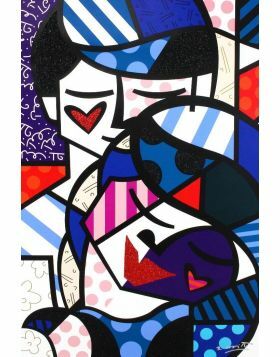 He creates murales but he also makes paintings on canvas and his subjects are reproduced in series or as unique pieces. 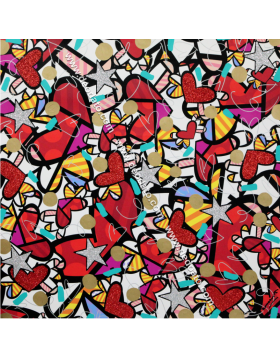 He also creates some metallic sculputers of small-medium and big dimensions. 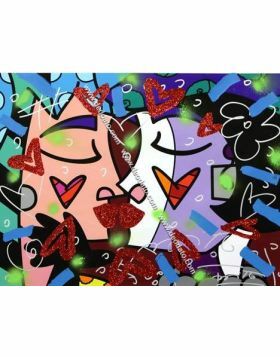 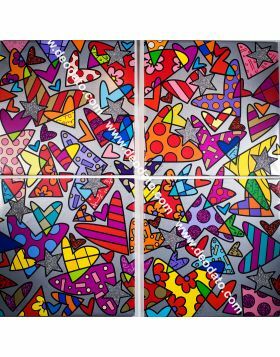 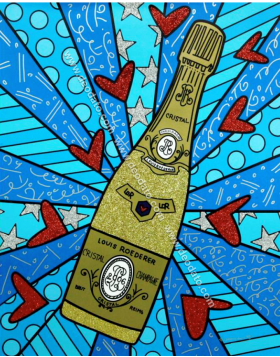 Britto's artworks are ordered by the most famous people and for the sponsorship of the bigger companies such as BMW, AUDI, COCA-COLA, DISNEY, WODKA and so on. 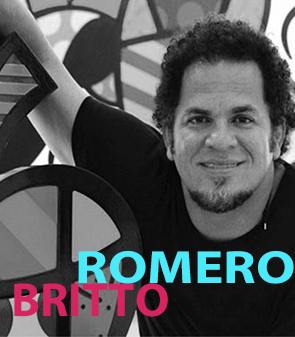 Britto, with his unique artworks, is one of the artist more famous and appreciated in the world of contemporary art.